DIRTBAG DOWN SOUTH ~ Georgia Canoe Association's 50th AnniversarySpring Extravaganza. by Michael Potter | DBP MAGAZINE ONLINE The World's Best Free Whitewater Publication. 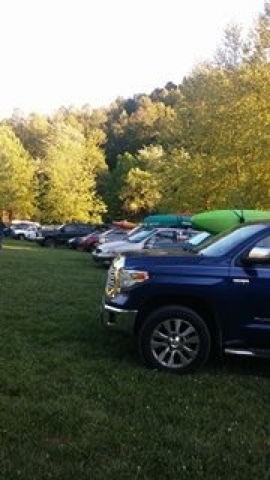 The Georgia Canoe Association kicked off their 50th Anniversary by hosting the Spring Extravaganza May 13-15 at Smoky Mountain Meadows campground in Bryson City NC. Runs to various local rivers dispersed from SMM in all directions. 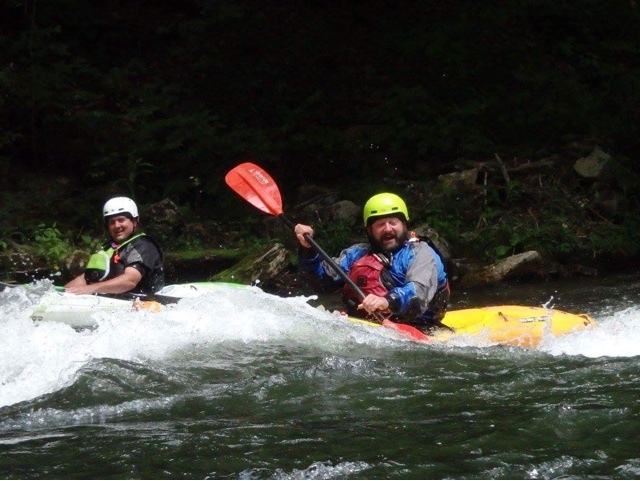 Club runs included French Broad section 9, Tuckaseegee, and Nantahala. 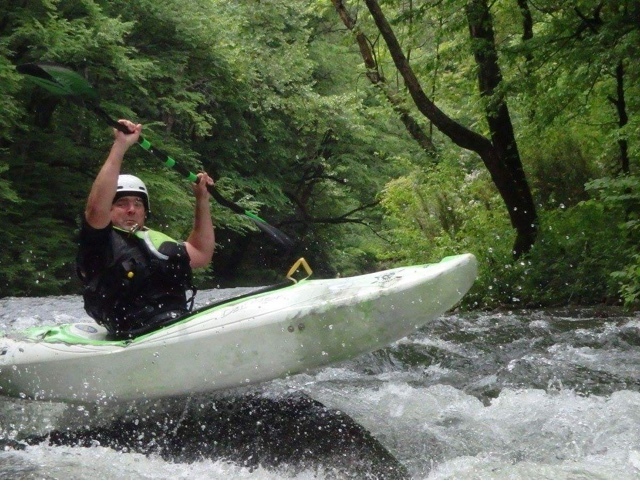 Many members opted for the club runs while others chose their own group runs, such as Brett Russell’s personal first descent (PFD) on the Cheoah. Unfortunately for me, work called and I knew I wasn’t able to attend the whole event. I left Chicago Friday and scrambled my 18 wheeler to Greeneville TN as fast as the governing officials would allow me to speed. I arrived in East Tennessee Saturday morning, dropped my trailer and moved quickly through the house in search of my kayak and gear. Then I set off to Bryson City to meet with my friends and club members. I arrived at the campground to find many of the GCA members at the pavilion setting up for the Anniversary dinner. I parked my SUV in line with the rest of the 4 wheeled units and set out to mingle in the crowd. Jimmy Jones was the first of a long line of familiar faces to greet me, including President Jay Davis, Vice President Jenny Taylor, Lisa Isbell, Brett Russell, Mark Brown, and Clint Miller. The greetings I got from all my friends leads me to believe GCA is one of the most accepting clubs in the southeast. Jimmy and I had planned to sneak off the reservation and paddle Chattooga 3.5 on Sunday. We had been planning our attack strategy after dinner when Jenny invited me to finish the discussion at the cabin. (Basically Jenny was rounding up the kids.) Shortly after arriving at the cabin Jimmy received a phone call and announced that he had a family issue and wouldn’t be able to lead Chatooga the next day. This left the rest of us searching for a new plan. No problem, if we can’t find a run we will make one. Family is always first. The next morning Jenny had breakfast ready at 7 am. That lovely lady fed me like a king! As we all sat around the table we discussed runs and decided what to do. 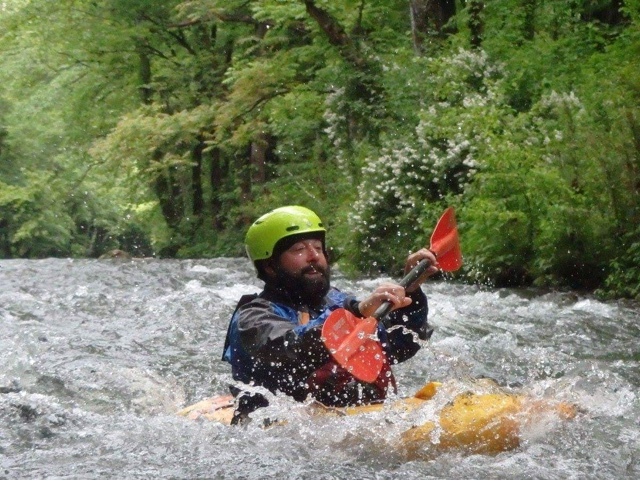 Jay Davis had announced that he was leading first timers on the Nantahala. Hmm….Interesting… You guessed it, we are crashing Jay’s party. Hey, I can pass for a first timer. We met Jay and his crew at Pattons Run at 10 am sharp and quickly set shuttle. I followed a line of vehicles to the Nantahala Outdoor Center and loaded eight interesting subjects into my Pathfinder. Shuttle is now set and we are off. Jay made sure everyone had signed the club waivers. Bet you can’t guess who hadn’t. As I signed, Jay asked if I was one of his first timers. I couldn’t resist, “Yep, first time man.” Well Jay hadn’t met me before so I got away with it. 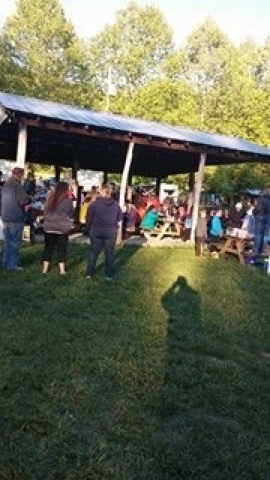 Folks were introduced and a head count of 15 participants made: Jay Davis, Jenny Taylor, Lisa Isbell, Rick Keith, Mark Brown, Brett Russell, Lee Torbush, Hunter Torbush, Rich Hill, Joshua Hendricks, Jason Lobough, Kate Shaffer, Frank Mueller, Tonya Brant, and I. With Jay as leader we had a 1:1 ratio of first timer to experienced paddler. Rick, Keith and I were the last to leave the staging area. Pattons, the very first rapid, is one of the more significant rapids on this section. Naturally we expected to turn the bend and start snatching gear and swimmers. Dang it, not one single Wallace! Very unusual to have a group this big and nobody swim there. It was several rapids later before I got the first swimmer. There was a large rock in the middle of the river with swift current running on both sides. Around back was an eddy with a recirculating current. I came around the right side of the rock and caught the eddy to observe everyone. The next paddler tried but got hung on the eddy line. WALLACE! He gave two attempts at rolling. I rushed in for the bow rescue but inches before I got there he popped the skirt. Mark rushed over with the paddle and in minutes we were kayaking again. I explained the bow rescue to the swimmer. He said he understood but wanted to at least try rolling on his own. He eventually ended up inverted again, tried two roll attempts, then waved his hands and Mark was there in seconds. Soon Jay knew I wasn’t a first timer. He was having me set safety in places where he expected the yard sales to occur. I didn’t get to catch another swimmer the rest of the trip. Seems the first timers had brought their best game. Hunter Torbush was one especially amazing kid that was trying anything you could throw his way. It was a super fun day of showing newer paddlers little tricks and tips to improve their skills. First timers are my specialty. I remember when I got started, not long ago I might add. I was having to hunt for runs on my non-skill level or ask one of the class 5 paddlers to paddle a class 2 with me. I actually lucked into a few locals that made sure to plan runs like Jay has here. I feel it’s my turn to pass my time and help on to those coming up behind me. It was also a special run for me knowing my friend Rick Keith was beside me for most of the run. Rick is more than just a friend, he is the person who makes my paddles. Check him out at highland-paddles.myshopify.com. Unfortunately Rick had laid his father to rest the day before. Being the man he is he came out to support boat for Jay’s run as promised. I’m sure he enjoyed this special time of healing and cleansing his thoughts with rushing water and friends surrounding. Several times I saw him smile as my H.P. Accelerator scraped rocks and the sound of money fluttered through the air. He even told me that he had a new one already waiting for me at the office. Our trip was a good one with very little carnage and lots of smiles and laughs. I knew the day was a success when Rick and I ran the falls to set safety. Only one swimmer in our group on Nantahala Falls! I got to see several others Wallace while waited on our group. I have never seen so many ropes thrown in one hole. It was like Major League Baseball pitching practice there. If you swam the falls you were getting a rope! Congratulations to the first timers for stepping up their game. Thanks to Jay Davis for leading and organizing the trip. Special thanks to Jenny Taylor for making me breakfast and one heck of a fine sandwich for the river. Gotta love a woman that will feed you! I can’t wait for the next GCA event. 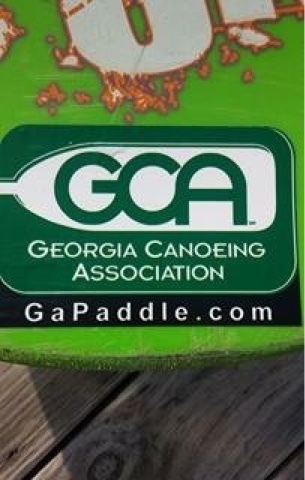 If you are looking to paddle anywhere in Georgia this is the club to hit up! You can check them out at GaPaddle.com or post on their Facebook page. Until next time, have fun Dirtbags! TEXTING SAGE ~ An Interview with SAGE DONNELLY. by Nick Carlson ofOUTSIDE TO THE MAX.